Jose Mourinho wants him back, initially as a player, but there is a possibility of a coaching role for Drogba in the future at Chelsea. 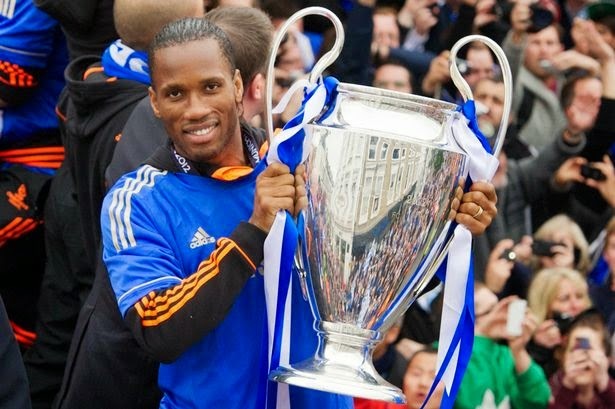 The Chelsea Legend "Didier Drogba" will make a Chelsea return after the World cup as a player with the future plans of a coaching role at Chelsea. Drogba's contract with Galatasaray has ended and talks to make his return to Stamford Bridge has already began as Mourinho is known to be keen on bringing the striker 'home'. Drogba joined Chelsea back in 2004 for £24million tranfer fee from Marseille and during his seven year at Chelsea, he managed to score 157 goals with 341 appearances. His last kick at Chelsea brought the 1st ever Champions League for the first time, to Stamford Bridge.